The Other California is the story of working-class communities and how they constituted the racially and ethnically diverse landscape of Baja California. 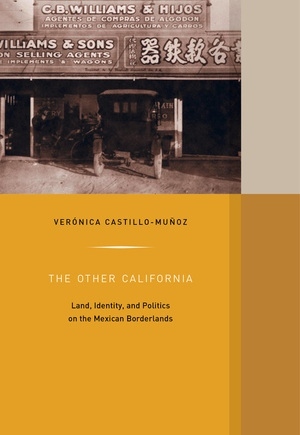 Packed with new and transformative stories, the book examines the interplay of land reform and migratory labor on the peninsula from 1850 to 1954, as governments, foreign investors, and local communities shaped a vibrant and dynamic borderland alongside the booming cities of Tijuana, Mexicali, and Santa Rosalia. Migration and intermarriage between Mexican women and men from Asia, Europe, and the United States transformed Baja California into a multicultural society. Mixed-race families extended across national borders, forging new local communities, labor relations, and border politics. Verónica Castillo-Muñoz is Assistant Professor of History at the University of California, Santa Barbara.